This October, PWNA is launching its inaugural 4 Directions Development Program (4D) for Strong Native Women, supporting the development of strong female leaders throughout Indian Country. 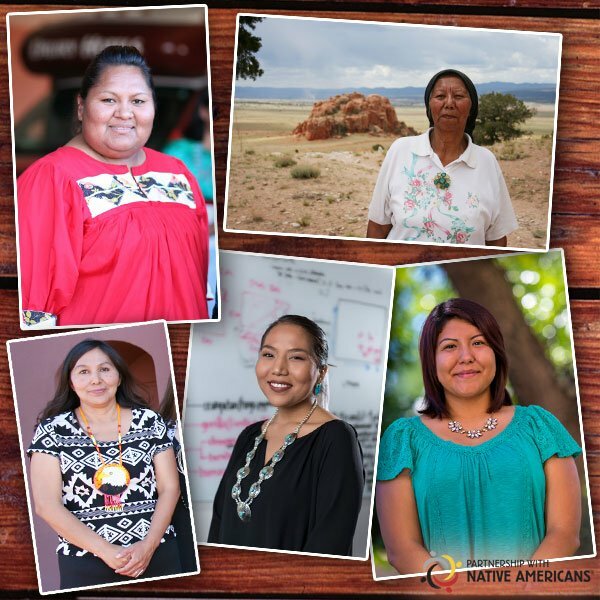 The cohort commences this week in Santa Fe, New Mexico with 12 women who will partake in training sessions through March 2019. 4D training is an ongoing long-term solutions service that PWNA piloted in 2012 to help develop emerging leaders in reservation communities we serve, proactive individuals seeking to increase their knowledge and skills as community leaders. As part of the program, participants engage in a six-month training that includes personal and professional development, self-identified goal-setting and mentorship. All 4D program costs, including meals, lodging and travel for training, are covered by PWNA. This year, PWNA sought to establish the first 4D all-women cohort, made possible through a grant from the PepsiCo Foundation, which invests in partnerships and programs to support at least 1.5 million girls and women becoming more workforce ready in the coming years. In addition to funding, members of PepsiCo’s Native American employee resource workgroup (known as RISE) will volunteer as mentor-advisors for the 4D participants. Many RISE members also mentor student scholars of our American Indian Education Fund (AIEF) program. Each of the female candidates participating in the inaugural cohort of 4D Strong Native Women applied for the program and upon selection, committed to attending all training sessions and completing all aspects of the program. Participants will attend their first session on Thursday, Oct. 11 where they’ll learn about leadership styles, traditional leadership, lateral violence and self-care. Additional areas of development to be addressed in future trainings include public speaking, grant writing and financial education. Program facilitators will also customize sessions based on any needs identified by individuals or the group. This entry was posted in Grant Projects, Humanitarian and tagged 4 Directions Development Program, American Indian Education Fund, Native American, PepsiCo Foundation, tribal leaders, women. Bookmark the permalink. Trackbacks are closed, but you can post a comment.